A top water resources expert, Shripad Dharmadhikary, has said in a recent paper that, taking advantage of a “flawed” policy perspective, continuing since independence, that river waters should not be allowed to “go waste” into the sea, India's powerful elite has been seeking to increasingly divert waters for industrial purpose. 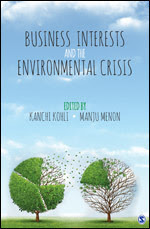 Formerly with the Narmada Bachao Andolan, and now heading Manthan Adhyayan Kendra, Badwani, Madhya Pradesh, Dharmadhikary's paper, titled “Value as a Justification in Water Resources Development”, has been published in a new book, “Business Interests and the Environmental Crisis”, edited by two environmental experts Kanchi Kohli and Manju Menon (click HERE). “According to the government itself, this water could irrigate 2.85 lakh hectates (ha) of land every year”, says the expert, adding, “A significant part of the diversion has been in the area of Vidarbha”, currently suffering one of the worst droughts, leading crop failures, high indebtedness and mass suicides. 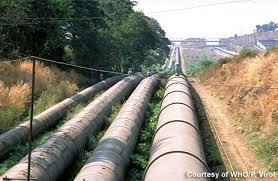 The situation did not change in 1969, when Sardar Sarovar Project on river Narmada was floated – the Narmada Water Disputes Tribunal (NWDT) Award repeated the same view, saying the lateral states, Gujarat, Maharashtra and Madhya Pradesh, should be allowed to use water remaining unused after irrigating fields and generating power, lest it “would go waste”. In the latest interlinking of rivers project, floated by the Government of India, things have not changed either, suggests Dharmadhikary. A National Water Development Agency (NWDA) document says that “flood waters which otherwise run waste into the sea” could be utilized “for transfer to water deficit areas” by interlinking rivers. The expert says, “This notion ignored the many other uses of water – some, like fisheries which benefit humans, and others which served the purposes of other life forms maintaining ecology”. By way of example, he points out, how, as a result of the flawed concept,communities living in Narmada (in India) and Indus estuaries (in Pakistan) are becoming increasingly deprived of livelihood, especially fishing.